Electric vehicles (EVs) have always needed a public charging network, not for every day driving but for those weekend road trips where 300 miles of range just won't do. Tesla built a massive public charging network for this very reason, Volkswagen is being forced to build one too, and a large number of start ups have invested huge sums of money to fill in the gaps. While all of this great news it is not what most EV drivers need. EVs don't need an oil change, have no gaskets to replace, no cylinder heads to machine, no spark plugs to replace, no valves to clog up and no need for gasoline, and thats the biggest point. Most of us grew up in a household with multiple vehicles, and started driving on our own at 16, we know what its like to own a car, but many of us have no idea when it comes to EVs. Simply put, EVs have more in common with your smartphone than they do a traditional automobiles. They don't need an oil change, have no gaskets to replace, no cylinder heads to machine, no spark plugs to replace, no valves to clog up and no need for gasoline, and thats the biggest point. Gasoline's need in an combustion engine is simple, its combustible and that's exactly why you need gas stations. You simply don't want to have a large reservoir of gas underneath your home nor would you want to pump gasoline around the city directly to houses, its just not a good idea. Electricity on the other hand is readily available in every home, building, workplace etc. While you can't have a gas station built in your garage you definitely can have an EV charger in there. Imagine you had to wonder around the city looking for a special charging point to fill up your phone. It would be an absolute nightmare. Its hard to imagine, but think if your smartphone didn't have a charger. Imagine you had to wonder around the city looking for a special charging point to fill up your phone. It would be an absolute nightmare. Well, thats what public EV charging is like. Sure its great in an emergency or on a road trip, but day-to-day its not a fun or ideal experience. 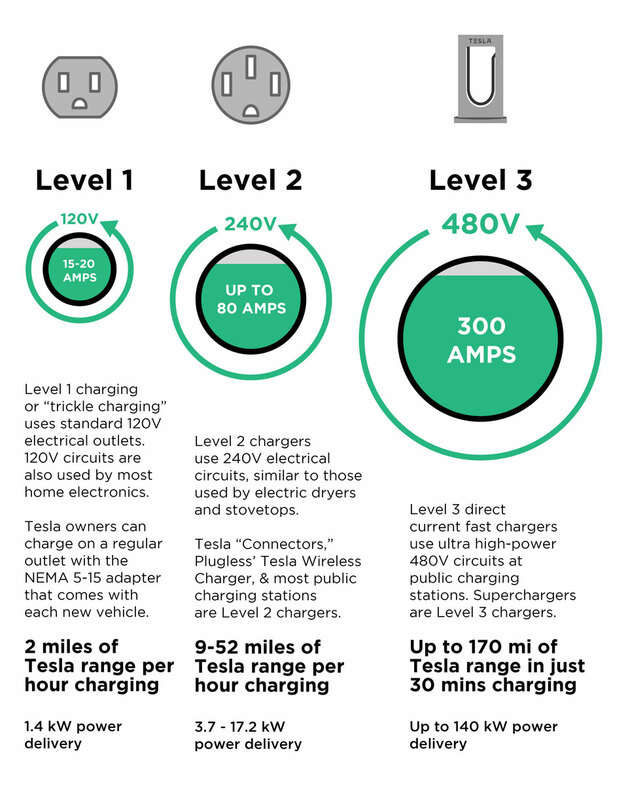 Bringing charging into your home makes owning an EV even better. You come home, plug in, and forget about it until you need to use your car again, its that simple. In all honesty who really enjoys going to the gas station? No one does and it take 5 minutes. Now imagine you need to go to the gas station every day for 2 hours. Sounds pretty bad, but thats exactly what the current public charging network wants you to do. Even Superchargers, which fill up a Tesla in ~40 minutes, are not the best solution for day-to-day driving needs. In all honesty who really enjoys going to the gas station? Superchargers or DC fast chargers are only one piece to making a successful EV ecosystem. Its what 90% of automotive manufactures and potential EV drivers focus on, but what will effectively solve about 10% of charging problems. Its essential that we build out a public fast network, but its far more important that we bring chargers into peoples homes. Its not just convenience, its enjoyment too and EVs will never truly take off until this problem is fully solved.